AT LAST! The Breakthrough Proven New Way to ATTRACT MONEY NOW - Guaranteed! Need money? Attract Money Now is the perfect blueprint for breaking free from debt, lack, struggle, and fear. 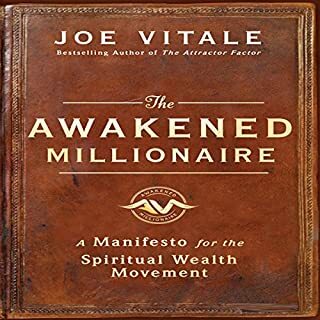 This is the exact same blueprint Dr. Joe Vitale used to go from a homeless nobody to a multimillionaire celebrity. It is a spiritual and practical system that will work for YOU. 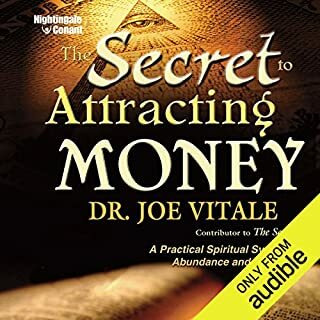 In this inspiring new audiobook, Dr. Joe Vitale - best-selling author and star of the hit movie The Secret - walks you through his easy system for attracting money using the Law of Attraction and the Law of Right Action. Attract Money Now reveals an easy, proven, seven-step formula you can use today to begin attracting money, getting out of debt, and ending the struggle once and for all. Dr. Vitale’s system has nothing to do with real estate, investing, or saving for a rainy day. Instead, Attract Money Now reveals a spiritual and practical way to erase limiting beliefs, do what you love, and get into the cash flow that makes life easy and luxurious for all. 29 ways to attract money NOW! 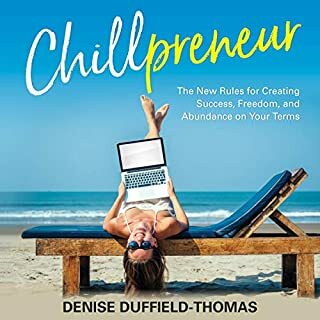 You’ll love listening to this refreshing audiobook that frees you to have the life you want - for yourself, your family, and the world. Dr. Vitale says, “If you want the world to be happier, contribute one happy, healthy and wealthy person to it: YOU. One person at a time, we can transform the planet. Listen to Attract Money Now and discover the secret of being free! The narrator has truely represented Joe. The book asks you to love your self first for attracting money. Very touching and uplifting. fabulous nuggets can use today. well-written, easy to understand and makes the secret easier to understand and use right away now! His work is just amazing!! I pick up something new every time I listen. It really helped me let my mind open and new thoughts and ideas started racing in. Really helpful in changing my knowing around finances and success. Great new focus and many helpful action tips. Love the idea of giving to what inspires me. Thanks Joe. I bought Attract Money Now a week ago and listened to it 3 times. Every time noticing something I hand't before. The big awakening was to realize that I need to develop various streams of revenue.... Simple concept, just didn't click before. Really enjoyed the simplicity of the idea and it was presented in a fun way. What made the experience of listening to Attract Money Now the most enjoyable? It is very good, but repeats a lot of the same information of his other books. 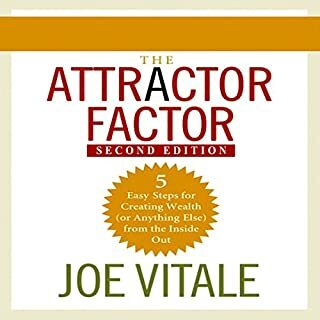 What other book might you compare Attract Money Now to and why? What about Don Hagen’s performance did you like? Yes I liked it but I have to say I prefer when is narrated by the Author, the vibration is different even though it is very clear and nicely narrated as it is right now. 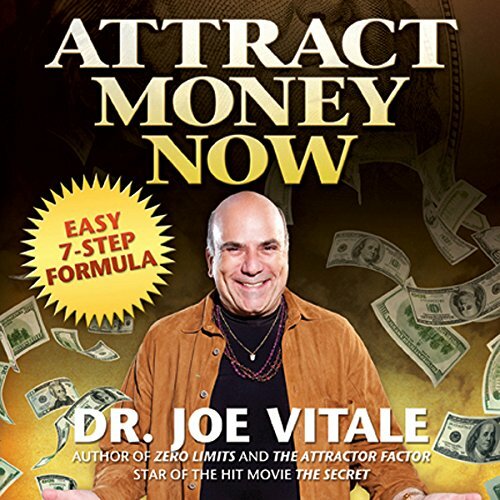 Attract Money Now is one of Vitale’s best works, distilling his philosophy down to 7 points. 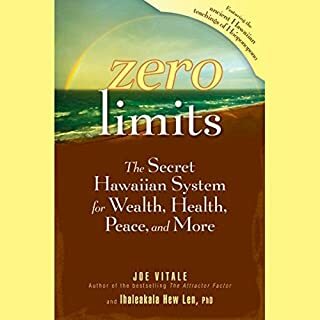 My favorite of Vitale’s books will always be Zero Limits. Don’t let any discomfort you have with Vitale’s accomplishments stop you from *hearing* the steps that you can make your own. He lists his successes as a validation that these steps actually work. 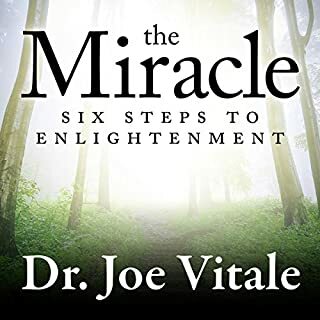 I believe Vitale is one of the more interesting and creative “self-help gurus” currently out there. He’s proved himself to me, between his own success story of bouncing back after a period of living in his car, and his ability to identify and promote the work of other teachers like Neville Goddard. >The importance of gratitude and “Thanking Forward”. >Prioritize your goals: Write a list of your top 30; then prioritize them into 3 groups, with the most positive emotional connection at the top. >Put long and short term goals together for maximum result. I listen to Vitale every so often as a goal, task, direction, and reality check. I really like Don Hagen’s voice and believes he adds to the recording. Great book. Much inspiration and wisdom. I love this audio, and iam returning regularly for guidance. The practical tools in thus book are worth using. What would have made Attract Money Now better? I didn't get beyond first chapter. I'm sure the content was good but the narrator gave it no life so it was dull and meaningless and I just couldn't engage with the book. Would you be willing to try another book from Joe Vitale? Why or why not?